Ryan Terrents was spectacular for Huntingtown Wednesday against Chesapeake-Anne Arundel. The righthander pitched a two-hitter, leading the Hurricanes to a 1-0 win over 13th-ranked Chesapeake-Anne Arundel in the Class 3A state baseball semifinals at Joe Cannon Stadium in Anne Arundel County. It wasn’t a good day for Baltimore area high school baseball teams in the Class 3A state baseball semifinals Wednesday at Joe Cannon Stadium in Harmans as teams from the north and south parts of the state eliminated No. 13 Chesapeake-Anne Arundel and Towson, respectively. The Cougars left their bats at home and suffered a 1-0 defeat at the hands of Huntingtown of Solomons Island in southern Maryland. The Anne Arundel school, which was no-hit with two outs in the top of the sixth before getting two infield hits off junior right-hander Ryan Terrents, failed in an attempt to advance to a third straight state final after winning its third consecutive East Region crown. In its first state semifinal since 2009, Towson’s pitchers left their control at home, walking seven and hitting five batters, all of whom scored in the first three innings of an 11-5 decision to Frederick County’s Governor Thomas Johnson (16-8 overall). It wasn’t jitters or the mere plight of the center stage, it was simply baseball. Throw strikes and don’t make defensive mistakes and most of the time you will win. Unfortunately for Towson, the lack of strikes thrown in the early going outweighed no errors by the Generals. Towson pitchers walked a total of 8 batters and hit four batters while giving up only six hits, but it was a pair of dreadful innings, the second and third in which the Patriots (16-8 overall) tallied five runs on two hits in each of the frames. TJ held an 11-2 lead after three innings as they capitalized on seven walks and five batters hit by a pitch to run it up. Monday, Towson upset No. 7 Bel Air, 1-0 in the 3A North final behind two-time Baltimore County Pitcher of the year, Kyle Sulkowski. Sulkowski (5-1), who will pitch at Emory College, hurled a four-hitter. The Generals (13-9) were in trouble immediately Wednesday against Thomas Johnson. The Patriots got a 1-0 lead on senior centerfielder Jack Maruskin’s triple to deep left center scoring University of Maryland committed freshman shortstop Jacob Orr, who’s verbally committed to the University of Maryland. Orr was hit by pitch from Towson starter and loser lefty Nick Testoni (committed to St. Mary’s). Four walks and a batter hit by pitch (all four hit batters scored) to go with a two-run double by Matt Fowkes and a two-run single by Justin Bolden highlighted the second inning eruption. Five more came across in the third on a walk, three hit batters, a wild pitch and a bases clearing 3-run 2-bagger by Bolden. Towson got on the board in the second stanza with two runs on a throwing error, but the 11-2 deficit would prove to be insurmountable for the Generals. Towson coach Brad Eastham was able to find some solace as his staff gave a hit and a walk over the final four innings. “The rest of the way our guys never quit,” said Eastham, who had 10 seniors, four of whom are expected to play in college. “We have a great bunch of guys who are serious baseball guys. It’s their favorite sport. Decker, a Gettysburg College recruit who was the Baltimore County league’s Offensive Player of the Year (.574 with four home runs and 30 RBI), had two hits Wednesday. Orendorff pitched the last four innings. Jack Bayne, a third baseman/catcher who will play at McDaniel next spring, was hit by a pitch with the sacks full and a subsequent throwing error got Towson two more runs in the fifth. The Generals got their final in the sixth on Ben Sabastian’s second single of the game. Eastham, a former Generals’ player under Bill Yosca, announced after the game that he is stepping down after nine seasons as head coach. Eastham, the head of the physical education department at Towson, has coached baseball, basketball and football on an and off at his alma mater for nearly 20 years and has a daughter entering the school next year. “I think its just my time (to retire from coaching),” said Eastham. Terrents, who pitched only six innings because of a shoulder injury was brilliant for Huntingtown (17-7) Wednesday. The 6-foot-3, 195-pound righty pitched 5 2/3 no-hit innings and finished with a two-hitter (both infield hits), struck out six and walked two. Terrents got the first two Cougars (13-7) in the top of the sixth to keep the no-hitter going, but Colton Spangler beat out a hit deep in the hole at short and cleanup hitter Dylan Young followed by drilling a shot near the third base line that the Canes’ freshman third baseman Colin Wargo made a nice diving stop to prevent a double. He was unable to get Young at first. With two on for the first time in the game, Terrents (2-0) then got dangerous catcher Tyler Shadle on a groundball to second base for a force out to end the inning. Lee Robinson reached on an error to start the inning and his pinch runner Andrew Colebrook was sacrificed to second base by Mike Cybert. With Colebrook in scoring position with one out, the Cougars signaled for Tommy Lewis to also bunt. Lewis quickly got behind 1-2 before slapping a grounder back to Terrents who threw Colebrook out at third. Terrents coaxed Colby Buckheit to sky to left for the final out. Buckheit started for the Cougars and went the first four innings and Dylan Young the last two, but couldn’t get any offensive support. Buckheit (6-2) gave up the game’s only run in the bottom of the third on a sacrifice fly by Joe Monzingo scoring leadoff batter and centerfielder Caleb Karbowsky after he had started the inning with his second of three knocks on the day. Note: Colin Wargo and older brother Clay, a senior catcher and cleanup batter for Huntingtown are the sons of Cory Wargo, who played at Northern-Calvert and was the catcher on the 1995 Gunther’s Little Orioles Contintental Amateur Baseball Association 18 & Under National Championship team in Fort Wayne, Ind. That was the only Maryland team to ever win the 18 & Under CABA National and Cory’s father, Jerry Wargo who was at the game Wednesday, runs the most popular baseball camps in the state. C – Colby Buckheit, Dylan Young (5) and Tyler Shadle. 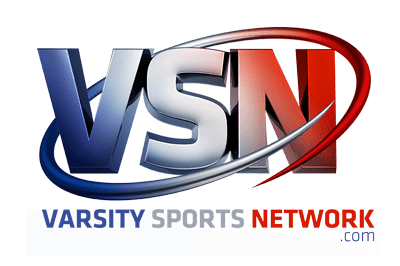 Longtime Baltimore sports writer for both the Baltimore News American and Baltimore Sun, Pat O’Malley has been a VSN contributor since the site’s launch in 2010 and covering local high school sports since 1969. Renowned as the top historian for Maryland high school baseball and state records.